UPDATE: We received such an amazing response to this episode that we decided to create a follow-up post for you detailing one of the most important aspects of Miles’ strategy: How to create a high-converting offer using Facebook lookalike audiences. You can see the full Facebook Ads video training we recorded with Miles here. Starting an online business should be easy, right? It all seems pretty straightforward… Create a product, put up a sales page, and send some targeted traffic to your website. Next stop: internet millionaire and retirement on the beach, right? If you’ve been in the world of digital entrepreneurship and marketing for any length of time, you know that it just doesn’t work like that. And as technology evolves and the internet becomes an increasingly noisier place, it’s harder than ever to stand out and break through the noise. Fortunately, there are people who have committed themselves to making it work online and finding success no matter what obstacles need to be overcome. Our guest on today’s podcast episode is such a person. It’s our great pleasure to introduce you to Miles Beckler. Before Miles found success building a profitable online business, he unsuccessfully tried over 15 different business models. At one point, he went all in on an online business idea and spent the last of his rent money. When that business didn’t pan out, he and his wife had to move back in with his parents. Ouch! However, Miles’ life looks very different today. In fact, that “failure” we just mentioned proved to be a pivotal moment in his life and career. After that happened in 2009, he managed to scrape together $95.40 for a domain name and hosting package. He and his wife committed themselves to building a business that brought true value to their audience. The result of that commitment? That website Miles and his wife built now receives over 8 million page views per year and helps them earn a full-time income online. Miles is 100% self-taught in the online space and has systematically discovered what works and what doesn’t when it comes to building an audience, creating valuable content, and selling digital products online. He’s mastered the core digital marketing disciplines like email marketing, SEO, and paid customer acquisition. He comes on the podcast today to share his story and strategies with you. After traveling the world for 4 years while running their online business, Miles and his wife now split their time between Arizona and Washington. Miles works every day on their business and has made it his personal mission to help beginners get started and build profitable businesses online. We hope you enjoy this episode! When people look at where I’m at now, they ask “How could I ever do all of that?” I constantly try and rewind and say, “Look, I started with literally $50,000 in debt. I was 30. We had to move back in with my parents because I went broke. I had to bring my wife who I had promised “I’m an entrepreneur, we’re going to figure this out.” We scraped up $95.40 to buy a domain name and hosting package. And that is where it all started. We hoped you enjoyed this episode and now have some valuable ideas you can implement in your business. What have you discovered that has led to your success online? Join our discussion and add a comment below. We’d love to hear from you! You’re listening to Miles Beckler describe the immense failure he faced after unsuccessfully trying to build over 15 different online businesses. However, that didn’t stop Miles. In fact, the moment he’s describing proved to be a significant turning point in his life and career. Since then, Miles has gone on to build a highly successful website that receives over 8-million visits per year and helps him and his wife earn a full-time income online. Miles has tried many online sales and marketing tactics and systematically figured out what works through trial and error. Even now he continues to experiment and stay at the cutting-edge of digital marketing strategies. Since 2016 he’s committed himself to helping beginners get started and succeed with email marketing, paid customer acquisition, technology selection, SEO, and much more. If you’re interested in learning the exact strategies he is using to generate profit online in 2019… this episode is for YOU! We’re lucky to have him on and are grateful for the opportunity to share his insights with you. I’m your host Eric Turnnessen. And this is episode 114 of the Subscription Entrepreneur Podcast. Eric: Hey Miles, Welcome to the show. Miles: Thanks, Eric! Happy to be here, man. Eric: Great. Appreciate you coming on. Really excited to chat with you. To get started, let’s talk a little bit about you and your background. How did you get to come to the place where you’re doing what you’re doing? What were the early days that got you into this? Miles: So, I graduated high-school in the San Francisco Bay area in 1999. My worldview is really based on that environment of lots of people making lots of money easily through web stuff. My friends were webmasters and it was just the culture. That seed was planted at a very early phase for me. In 2003 I learned a affiliate marketing kind of hack where I was direct linking people from Myspace to affiliate programs, which for anyone listening is the wrong way to do it. But, it gave me the first taste of actual internet income. That’s when it became real. That completely collapsed because of the change in terms of service because I wasn’t building a list and I wasn’t adding value or doing any of the things that you really need to do to grow a business. Then, I went on to about six years of challenge after challenge and tried about 15 different niche sites and ended up meeting my beautiful wife in Albuquerque, New Mexico. We co-founded a website in the spirituality and meditation space. We were both meditating a lot. We both weren’t satisfied with our lives, but meditating felt good and we started sharing that with the world. That was in 2009 and still today in 2018 that is still the main business that we are growing. I started in 2016 to change the bits and pieces of what we did to grow that business at scale. I started teaching that on Miles Beckler on YouTube. Eric: You are talking about Ask-Angels.com, right? Eric: When you started that in 2009, what were the early days like for starting that site? Did you have a plan? Miles: I had a theoretical plan. We were coming out of an absolute failure. As I said, I tried like 15-20 different businesses in those years. At one point I got into one of those, I called them “me-to-me marketing scams.” Essentially, you buy into what they sold you and then you turn around and you go sell that to other people. Again, I was looking for shortcuts and I wasn’t doing the work to build a real business. We went all in on that business model. When I say all in, I spent the last of my rent money and trying to do the things they said to do – because just keep drinking the Kool-Aid and eventually you’ll get the work. It went to bust. It went flat out to bust. I couldn’t afford rent and my wife and I actually had to move back in with my parents. My dad was 70 years old and it was a very, very small house. I had these big promises to my wife. Literally, it felt like my world fell apart around me and I was not delivering on my promises to my beautiful new bride of this successful, entrepreneurial life. Out of that, that was literally where we were when we started the Ask-Angels website. Out of that, we were able to scrape together $95.40 for web hosting and a domain name. At that time, it was different. It was like, we’re not giving value and we had this heart-to-heart. My wife was going to go forth with publishing great content about the one thing that we’ve enjoyed throughout all these years, which is meditation. I was going to do the geeky SEO optimization and keywords and learn the back end. We couldn’t even afford a paid theme. We were on free themes and I didn’t even know how to install WordPress. We just went forward. Literally, through group effort and we got day jobs because we were broke. We went and got 40-hour a week jobs. We would wake up at five o’clock in the morning and we would work until 8:30, until we went to work. Then I would work on lunch break. Then we would work in the evenings until 10 or 12 o’clock at night. We went all-in. I found a new gear. That challenge of going from complete zero, flat broke and having to move back in with my parents. Disgust can be such a powerfully motivating emotion sometimes. Somehow, I found a new gear out of that. We applied a ton of effort. It’s grown. That site now gets about 8-9 million visits a year. It’s all content marketing pretty much. Miles: Totally. Not only that, but if you’re building a house on a sandy foundation then eventually that house is going to crumble. It wasn’t until we were willing to do the work. It’s so interesting to hear that you were also forced by necessity also. We hit that point, zero point where we are literally bouncing off of rock bottom. Like, I can’t buy into anymore shiny objects or, as humans we look for shortcuts. We think that shortcuts are real. The truth is shortcuts lead to long delays. Eric: I think it’s also because we didn’t have the enough courage to believe in ourselves and what we were actually interested in. Eric: That’s what I really love about your story too. It resonates with so many other conversations that I’ve had where success in this space isn’t about the techniques and just copying what other people are doing. It’s about finding your interest. You don’t have to have those shiny themes and all those bells and whistles in the beginning. Just start doing it. It takes time. This is the thing, it takes time and persistence. People aren’t really willing to wait around that long and give it time. It’s like trying to bake a pie and saying I’m only going to wait five minutes and no matter what – I’m going to taking it out of the oven. Well you’re not going to have a pie. Miles: I’m going to lose ten pounds and I’m going to give it this afternoon. If it doesn’t work this afternoon then hey this stuff doesn’t work. Eric: Exactly. So here you are x number of years later and you have millions of people visiting this site. You guys are doing what you love to do. When you actually started that, what were some of the key turning points within that journey itself that helped you jumped from one plateau to the next? Miles: There have been many of these quantum leaps along the way. I think the first one was through my failures in those years. I learned the basics of keyword research and on-page optimization. When I say the basics, I mean the absolute basics of SEO. I taught my wife that at a very early early stage so that when she went all-in on content creation, she started with a 90-day challenge, which is what I teach people to do today. Publish one piece of content a day for 90 days. It’s a brutal experience, but it helps on so many levels. Anyway, when she did that every piece of content was focused on the specific keyword. So, just that little tiny insider foresight to be focusing all of your attention on the keyword that people are searching. What that has done is now we are receiving the compound benefits of all those early years, plus what we’re doing today. So, that was phase one. We were running full speed ahead for several years just content, content. Grow the list with an opt-in, but then just content, content. The next level up is when we ran our first funnel. When we finally created a dedicated page that said – “would you like this free thing in exchange for your email address?” That really started to scale the email list growth. Eric: Prior to that, you were just doing content? You weren’t collecting emails or selling anything? Miles: We were, but it was indirect. At that point, it was the kind of basic aWeber form in the sidebar. It wasn’t a clear direct response marketing approach at that point. It was an indirect response marketing approach, which you get indirect results when you’re not asking for a specific action. We kind of siloed that out and we got the pop-up thing going on on the blog content. We put the dedicated landing page and then we tacked on the one-time offer. Then, we tacked on a one-click-upsell. We ran with just a one-time offer after the opt-in for several years before adding the one-click-upsell. Just fine-tuning and tweaking. This is when I really got into the world of conversion rate optimization. At that point, I started running paid Facebook ads, which was the very, very early days of the Facebook ads platform. We finally had a series of steps that a new individual could go through and essentially enough people we’re able to pay for new products that covered my ad-spend on the day, so I could end my day at zero. I paid $500 in ads and I got $500 back in sales, but my list just grew by 1,300 people. Eric: I hear people talk about all the things that you just mentioned a lot. It always sounds so logical, so straight forward. You put a direct to offer in front of them, you get their email, they enter into your funnel, your funnel has ways of communicating when to give something free up front. At some point you get them to convert to another offer. Once you’ve optimized your funnel then you can push more volume through because your conversion rates are good. This isn’t a secret. Everyone knows this for the most part. The thing is, how is that it’s still a problem that we can’t get this to work. Miles: It is the most difficult thing to get to work beyond that. Literally, I will say that it is an incredibly difficult process. Seth Godin and his newest book that just came out, This Is Marketing, I think it’s called – great book. He literally goes on record in that book and says 99% of marketers will never figure out how to create a self-liquidating funnel. One of the value moments that we had was those three to four years of nonstop content marketing, giving value, reading the comments. My wife was active in social media – three years of creating art. It’s written, it’s audio, this is our art that we are creating. We love this. We are creating the best thing we can for an audience at all times. Then we engage with them and we learn about them and we learn about their problems and what they are actually seeking in life. It took an intense amount of trial and error. It really took me another several years to dial in through split-testing and feeling like I was flushing money down the Facebook advertising toilet to really dial it in a way that it works. It’s one of those parts. The whole internet marketing game is like this. It’s simple, but it’s not easy at all. It’s incredibly difficult because there are so many moving pieces. We think logic is enough, but emotions actually drive the human being. We put all of our energy into building this thing and it turns out nobody wants that thing. It’s our emotional game, our physical energy, life energy that we are putting out. Not to mention that we have rent and we have these other life things. In that simple explanation of the path, np it wasn’t an incredibly difficult process. Copywriting has been a great skill to add on. I think that’s something every marketer – we can always go further with our copywriting chops. With helping people get that which they already want. We help people connect with things that they already want. We’re not creating desire. We’re not making up things or pushing products at our people thinking that this is what they think they need. We are really truly helping people get what they already want. That’s a magical alignment and it takes a lot of research. It just takes a lot to figure out what it is. Eric: The more mature that I have gotten, I have recognized that in all of its complexity there is a simplicity to this. It’s that you’re just trying to have a conversation. What do you do when you meet with a person one-on-one? If you want to be of service, the first thing you have to do is listen. Eric: Once you have listened then you have to determine, do I have the ability to provide this person legitimately with what they’re asking for? If I don’t, then find out where they can go who is not me. If I can do it then that’s great. How do I package that? How do I get that to them? If it’s a conversation then you just talk. I think one of the things that gets complex and complicated about this world is that everything is kind of an abstraction. We’re having a conversation. Like you and I have never met, but we’re having a conversation. We don’t get the benefit of being in the same space with each other. Not to mention, if I’m trying to have a conversation with 100 people, a thousand people, a million people at the same time. The question is how do you deal with these large numbers? How do you listen to a large group? How do you ask for feedback from a large group? Let’s start with that. I think it’s a legitimate and important question. Listening is how you deliver. You have to know what they want. So, what are the ways, tools and strategies that you use for listening to your audience? Miles: Absolutely. One of the biggest things to do is to ask them. My wife, she built over the years – when Facebook’s organic marketing was good, she built a Facebook fan page that was up to 900,000 fans organically. A lot of potential for feedback – “hey I’m creating this new course that’s about this, what would you like to know so that I don’t miss anything?” Then they feel like they’re actually giving feedback and helping you create something for them, which is a different value proposition in that situation. We run surveys. We definitely use surveys. I just use the formidable forms right on WordPress itself and I’m constantly asking for feedback on new ideas. Generally speaking, we have four or five books on Amazon and you can just go look in the reviews. The Web 2.0 enabled all of those people to become critics in one way, shape or form. They might be raving fans, or criticizing us from the YouTube comments, to the Instagram comments, to the Facebook comments, to the Amazon Kindle replies. It’s pretty easy to find the passionate individuals and to find those – it’s more of a process of being willing to take the time and to see that there is value in listening and to ultimately invest in yourself and into analyzing. I think critical thought too because we put out products that we thought this thing is it, we’ve got it! This is our irresistible offer, patting ourselves on the back before we ever launched it. Then we launch it to just crickets. Nothing happens. We’ve been humbled enough to realize that we actually don’t know what they want. Almost at all times is a constant process of engaging in that feedback loop. We also email our list incredibly regularly. I email every day the Miles Beckler list that’s built off that stuff. My wife emails about 75 emails in 90 days. Not quite every day, but still over five days per week she’s emailing. People reply. We get literal replies on that. We are directing people to YouTube videos and to posts and to different things. There’s always that comment section that always fills up. We take time to go back and look and think those critical questions of why did that happen? Or, if they are saying that offended them, where is that individual? It’s that process of literally projecting yourself into their life to understand, not their demographics – 44-year-old woman who lives in this ZIP code, it’s not about that. It’s even beyond those psychographics of what is she liked on Facebook. It’s literally about where is this woman in her life? Where does she think she’s at and where is she trying to go? It’s a lot of abstract thinking mixed with a ton of testing. And the data on open rates and click-through rates and conversion rates, that data paints a very clear picture beyond what people are willing to say in a survey. You can ask people hey would you buy this? And they will say, “yeah I would love to buy that,” in a survey, but then you send them to a sales page and see what they do with their credit card. That’s the real data. Eric: Quick question, how reliable are those open rate stats? Miles: Not very at all. We’re running some really interesting tests. Her list is about a hundred and fifty thousand. There’s new challenges that happen at that point with the volume of emails that we’re sending. The open rates are not at all. The click-through rates are a bit better for pieces of data. Ultimately, it’s that conversion rate. It’s that second step once they reach the page where we control the analytics pixel, getting into our cart and all those successive steps. Eric: One comment or thought that I had where you were talking about the different ways that you communicate with your customers from the Facebook fan page and through emailing. One thing that stood out to me as you mentioned consistency because I think that’s a really important aspect. If you have an email list and you only email them every once in a while, when you have something that you want from them, you haven’t set the correct tone. You’re you’re not engaged in a conversation. You’re basically busting in on them at dinner time calling them on the phone. You haven’t built a relationship up. Miles: There’s a big difference between the technical permission like, they bought my thing therefore the are subscribed to my list and according to the SPAM laws I am legally able to email that person. Versus, I’ve built enough rapport and they are going to miss me if I don’t email them. That’s the real permission. When they actually look forward to your messaging. One tip I’m going to throw out there for everyone listening is when we know that we have a product coming up, where it’s like, okay there is a new product launch next week. We start today. Where am I in my email sequence now? What story – stories are so powerful. This is probably one of the other level-ups that we’ve experienced – is the power of stories. What story can I start to tell now through value-add emails? The old jab, jab, jab, hook idea of give, give, give then ask. How can I paint this journey or this story over the next five to six emails that lead the user to, on the day – I’m ready to launch this product – to feel that they need that which the problem solves or, that which the product solves? We’re always trying to think three, four, five, six steps ahead versus “oh gosh I just finally finished this thing I need to launch it today.” Let me send out an email to my list that I just sent an offer to 2 weeks ago and haven’t talk to you since. That’s a big problem. That’s how it 80% + people treat their list unfortunately. Eric: One thought that comes to mind for me personally because I don’t have the experience of writing 90 emails over 90 days. How do you find that much to say? Miles: And how do you find your voice, right? And the confidence? I mentioned earlier the idea of the 90-day challenge which we started our first website on. When I started the Miles Beckler YouTube channel I just did 90 videos in 90 consecutive days. I did the exact same thing when I started email marketing every day. I was like, I’m just going to do it. It was extremely difficult. It forces us to grow and learn and it’s that commitment that forces me to start looking at the world around me. I’m always observing, where is the lesson here? Where’s the lesson I can teach my audience? It triggers me to start looking for anything and everything that I can share with them to add value to their lives. It was brutal. It was extremely difficult, but you get better at it. Especially, when you condense the learning curve down. For someone who tries to write code. They’ll try and then next week they’ll spend a couple hours, and then next week they’ll spend a few more hours trying to write code. They’re never going to get proficient at trying to write code but, if that person locks themselves into a room as a terrible coder and they just figure it out. They watch YouTube videos and are on Stack Overflow and they’re just figuring it out as they go along. Within 90 days if they sent three hours a day with it every day, then they’re probably going to be relatively proficient. I’m not a coder so I don’t exactly know and I hope that analogy applies here, but that’s the basic theory. You just force yourself to do it enough over and over again. For me, having that kind of commitment of, I’m going to do this. A 90-day challenge isn’t for everyone. People don’t have to go and do it, but I do think that increasing the frequency of giving awesome value is a worthy venture for every business. Miles: It’s building a new habit. I literally rewired my brain to where it is now today. I’m the type of person that mails my list every day. That is my baseline. That is just who I am and what I do. Another cool thing is that out of the process, every once in a while, I just write an email and it turns out to be this rant and man that’s good. So, I just go create a YouTube video on it. Then I go work it a little bit, more comes and change the tone a little bit, and then put it on my blog. So, it actually does become a catalyst for content that gets leveraged in other ways as well. Eric: I was just talking to my good friend Dan Caron a couple days ago and one of the things that he said is he’s been toying with is this idea of how to get people to buy. Not getting people to buy, but people actually buying. It’s kind of the right place, right time, right offer. One realization he had over his years of experience is when you’re doing that content creation – because how do you get the right time? You may have the right offer, but if somebody is not ready for that offer than it’s not going to fly. How do you get that right offer in front of the right person at the right time? That’s a very tricky question to solve. That’s one of the main challenges a marketing person has to solve. Where are the channels that these people are going to come from? The more content that you produce, each one of those pieces of content with keywords and the offers that go along with it in the sidebar – the pop-up or whatever. That increases all these different options and all these different doors that people can enter through. They find you through searching for something. They read your content and now it’s the right place right time for them. Miles: Absolutely, that frequency of being out there. I had the fear and everyone has a fear when they start, but yeah people are going to unsubscribe and I’m just going to annoy people. One thing I’ve learned is that most people don’t love the life that they are living and in that world, they are commuting, they are driving to a place that they don’t love, they have to work in a cubicle that they don’t necessarily love that environment. So, if you can be a spark of fun and enjoyment, inspiration, insight, an aha moment and a positive voice in their day, then they can start to live vicariously through you. They actually learn to love. It’s almost like a radio show bit. People listen in to that same Drive Time radio personality every single day. They don’t grow tired of that individual. They actually fall in love with that individual. That’s what we can do through this email marketing. One of the things is that my open rates are 20 to 30%, but it’s a different 20 to 30%. The people that I reach today, that open my email today, might very well be a different 20 – 30% that I reach tomorrow. If you are mailing once every two weeks and you get a 30% open rate, every day I’m getting a different 30%. So, every fourth day I’ve almost touched everyone on my list. The numbers go down when you get as big as my wife’s list 150,000. There’s a lot of large numbers which does some goofy things, but my list is like 8,000 subscribers. I’m literally able to touch every one of my subscribers once or twice every week this way. I really give a lot of value. I think in the internet marketing world so many people are just trying to get, get, get. I’m just that one guy that’s going to give you an insight, something funny, something fun, and I’m going to link to other people’s videos and other people’s podcasts. I’m keeping them in tune with what I’m doing. That’s what leadership is. Leadership is showing people the right thing to do through your actions. Don’t just tell them what to do. Go actually dig the trench with them. Eric: What the other people are doing in internet marketing is what you were doing and not being satisfied with before you found Ask-Angels. Eric: You were doing the thing where you were just doing what somebody else was doing and then telling you to do. It’s just multi-level marketing, or it’s basically like that. Another value is not being too concerned with people unsubscribing. The thing is if you say what you really feel, then that increases the potential of the people who end up staying on your list being being people who are actually interested in who you are. There’s only so long that you can pretend like you’re not who you are. Chris Ducker wrote a book recently called Youpreneur. That’s one of the main things that he talks about and the transformations that he experienced in his life when he was just stopped pretending. Just because we’re in business doesn’t mean that we’re not people and we can’t talk about anything. Miles: A hundred percent I think honestly people want that raw authenticity. Some of my best emails have been – I actually blew up my wife’s website. Right as we emailed a launch I went to go change one thing and then I messed everything up and then the cart went down. I think it was a 503-server error was all that displayed after we emailed 120,000 people saying – “go by this thing that we spent months creating for you.” Everyone has done it so, I emailed that to my list. I blew it up and I went on this whole long rant and people replied with like, “I’m so glad to know that I’m not the only person.” Sometimes admitting our mistakes, admitting our faults, being real keep people following and buying from people they know, like and trust people. Nobody trusts somebody who is perfect because ain’t nobody in this world who is perfect. We all got flaws so let’s just get it out in the open. That’s an old-school copywriting sales tactic as well. Admit a flaw about the product early in the sales letter and you overcome the objection of their just trying to make themselves seem perfect. It’s just real life. Even my YouTube videos they are pretty rough. I don’t produce them and I don’t do anything fancy. For the first three hundred videos it was literally just my cell phone. It wasn’t even a new cell phone. It was just a cell phone I had on a little tripod. I just went and I shared what I was thinking. There’s something about that raw vulnerability that seems to be working better and better today. I think it’s the Web 2.0 thing. I think because everybody’s a critic and we can all review each other, discuss each other on social or Web 2.0 places. Eric: I think it’s also because there’s so much information out there. What is the value of information? Its value is very little. What people really like is having relationships. If you can combine information with learning and relationships then that’s engaging. That’s what people want. I was listening- I’m not going to remember the name of the guest, but I was listening one of Pat Flynn’s podcasts. He was interviewing a podcaster and she was talking about her beginning experience with the podcast. She was like, “I don’t know if people are going to be interested in what I have to say and plus everything I have to say people have said before.” Then somebody told her, “you know what, there’s no new messages just new messengers.” That really resonated with me because it’s true. Five people can say exactly the same thing to us but one of those people is going to resonate with us personally. The other four will resonate with other people personally. They may be saying the same thing, but then way it’s communicated and how it drives home and how it lands for somebody is different. It doesn’t matter if informationally you are saying the same thing, it matters how you are saying it, who you are and how you are communicating it. Miles: Also, to take it one step further or, to kind of rewind and connect with what Dan Caron told you is the timing of that message too. Sometimes we are not in a position to understand it fully. I’m working on challenge A and you’re talking about challenge B and it just doesn’t connect. Three weeks later I might have overcome challenge A and now challenge B is staring me in the face. Whoever emails me that day with the solution that I was looking for, now it clicks. It’s also a function of the timing of the message as well. You are a 100% correct. Eric: Going back to when we were talking about the conversation and the strategy used for listening. One of the fears that comes up with opening ourselves to listening is when we do that, we open the door for praise, but we also open the door to criticism. Eric: That’s my question. Let’s talk about ego, right? How, when you are opening yourself up like that to this spectrum of people with different beliefs, people may be engaged with your comments giving you practical feedback, constructive criticism and people who just don’t believe in what you’re saying or are having some sort of challenge in their life and as a result want to be a troll. How do you sit through that stuff? How do you know what to pay attention to and what to listen to? Miles: That’s a great question. Everyone’s personality is a little bit different so the feedback can kind of do different things. Some people get fired up when they get negative feedback and it literally compels them, but other people it can be crushing. It can make them doubt what they’re doing, which is really, really challenging. I think most humans or, there are a lot of humans on this Earth who are looking for an opportunity to be offended. For my wife’s brand one of the first things that we had to do was literally remove all of the comments and the replies from her directly. They now go through a virtual assistant who runs our support. We literally put in a human being who is in between. They are all filed so we can go in when we are ready, when we have the mental awareness, when we are ready to go sift through what amazing Ideas are in there. It’s ready for us on demand. No, but it’s not bombarding us on their time. Eric: I had to do that too at the MemberMouse. It gets really hard when it’s such a personal relationship with the product. Maybe what people are saying is it’s coming from a place of some specific challenge other having on that day. Miles: They could have gotten cut off on the way home, their boss could have yelled at them and they’re all fired up. That’s one of the things that you never know. You never know what people are going through in their life at that moment. That’s why I kind of separate it completely. I personally have answered almost every YouTube comment I’ve ever received in 450 videos in over two years. That’s literally to the tune 10,000 individual answers from me and YouTube is notorious for having the most trolls. I use the block feature. I block specific phrases, I block individuals, I use “report as SPAM.” I get them out very, very quickly, but still you get a refund and if it was someone who took a lot of your time and all of a sudden, the refund is not right. It does affect us as human beings and I really do think that there’s a personality type that does great in customer support. I think that’s one of the best first places to go find a teammate. We found a great teammate in the Philippines. She is amazing and she does all kind of other things for us. Removing yourself from that support the moment that the finances make that possible. I was customer support for Melanie’s brand for years until we had the cash flow that made that possible. Seth Godin, to bring him up again, he doesn’t look at his Amazon reviews at all and he hasn’t for five years. He had to stop. He turned off comments on his blog. He has written over 7,000 blogs and he also – don’t think he has a YouTube channel at all. So, he’s just turns it off. I’m just not interested in your feedback – there’s that old adage. If Henry Ford asked people what they wanted then they would have told him that they wanted a horse-drawn buggy. Where is the horse and where’s the buggy? But he’s like “no, no I’m creating something new,” and the same could have gone with Steve Jobs and the iPhone. If he asked people what they wanted they never would have come up with that. That’s Innovation, but then there’s adoration. People’s feedback is great for iteration, but it’s not always great for the innovation phase. I really think that we all need to treat our content and what we’re doing in the world as art. This podcast is a form of art. Your willingness to take this time. This is your art. So artists, the feedback and the critics, it’s so easy to be a critic. All those critics – I look at them on YouTube and none of them have ever put out a video and they are trolling and they are telling me what I should be doing. I look them up and they have never put out a video. They have 0 subscribers and they are telling me what I should should be doing. They were just going through something in their life. Yeah, we all have to find our ways to deal with that because it is a very real part of the process. Eric: I 100% agree with you about everything being art. In fact, when I was the primary coder for MemberMouse, I took it to the level of where I was very particular of the white space that I used when I was writing my classes. Nobody is ever going to see that. To me, it makes a difference. I absolutely believe in all the software that I’ve written. When you have cleaned things behind. Everything has the intention built into it. That comes through whether or not it’s something visual that somebody can engage with. Then you’re talking about – I really love that statement you made about innovation. What was the second “I” word? Eric: Yes. It made me think about your comment earlier about how when the numbers get to 250,000 on the email list something changes. Maybe that’s what happened with Seth Godin. Maybe there’s a point at which the numbers get to a point where it’s like, “look I’ve learned enough. I’ve done my 90-day challenge and I’ve done my 10-year challenge and I’ve done this. I have a sense about things where I just need to put the content out and these things are a distraction, so I’m going to remove them”. Going from there, when you talked about your product creation and how some of your products did really well and some of them met with crickets. Given the number of products that you’ve released and the experience you’ve gained from those things, how do you approach your product creation different? Do you spend more time in the investigative phase, and they asking phase? Miles: At this point with the Ask-Angels brand we put ourselves on a very aggressive micro-launch schedule, which I’ll call it. We put out new sessions, new Mp3s, new courses on an extremely regular basis at a minimum of one new per month. We’ve been doing this for several years. Through that process we’ve just seen through the feedback – through the actual sales data, from the” I’ve actually pulled out credit card and purchased” data – what works and what doesn’t. We at this point in that business have a very clear understanding of the types of things that work – the dates for our calendar. For our people, the spirituality world, there are certain dates on the calendar that work. We create things on the dates that work and we have slowly evolved our approach. On the Miles Beckler brand I did a lot of asking questions, asking of surveys, asking for feedback. I would email my list and ask them to do a survey on a standalone thing. On YouTube I would make a YouTube video and I would ask them to comment in in the comments below to get that feedback from them. It’s like, “where do you have a captive audience and how can you get them to give you your two cents right then and there?” Versus, trying to get my YouTube audience to go to a stand-alone landing page because that’s off the platform that I met them on. In the early, early, periods we did a lot more investigation and a lot more of asking of the questions to really try to identify, what is this thing that you want. Now, once you go through the cycles, you really get it you pretty much get a clear path. That’s ultimately the strategy. The tactics to achieve the strategy we change a bunch – that strategy, that core strategy of we hit these days throughout the year and this is how we’re going forth. Then we built an offer for a membership program, since this is what the point of the podcast is, that people are going to get everything we’re ever going to do. We have committed to this point. We actually didn’t have anything in that membership program when we sold it. We wrote the letter so it’s that minimum viable product idea. We wrote a sales letter. We found that these are the dates that are the most impacting, that people like the most. So, what we’re going to do is if you want to buy in for one monthly fee – you’re going to get all these things and it’s going to save you 75% over the course of the year. We’ve had some members with us for four-plus years now. Eric: That sounds great. Let’s continue in continue in this vein. I love these practical things that you’re talking about. It’s the New Year. Around this time people are really looking at their business, what worked and what didn’t in the past. 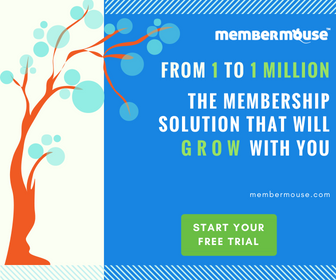 There’s a particular segment of MemberMouse customers, and I imagine just people in general who are trying to start businesses. There’s a particular segment that I want to address. There’s a certain set of customers who are on our top-line, they have no problems. They know what they’re doing. They are going through the iterative process. They know what strategies to implement. There’s a certain number of people on the low end who just don’t have what it takes. They don’t know what they want to do. They don’t have the commitment, but then there’s the middle section. These people are the ones that I’m really interested in providing some practical guidance to for this year. They have something that they’re really interested in, that they’re compelled by and they want to share. They may not be super familiar with all this world that we live in, but they want to release something to the world. What can we do? What are the things that they can do to get the ball rolling? Miles: The first place I would always look is what assets do you have, what have you already built? Specifically, to get really technical about that, do you have a customer list? Have you sold something? The fastest and easiest ways generally for most businesses to make more money is to go sell more things to your past customers. They already trust you enough and they’ve proven that by taking out their credit card to buy something. What’s that next itch that they need to scratch? You’ve helped them with problem with your first product, what is their next problem? If you don’t know then survey them, then ask them, “hey I’m glad you’ve joined me on this journey for product A and I’ve been thinking that this might be a great world to help you with. What is your biggest problem around problem B that you would like help solving?” You would be amazed by what people would pour out of their hearts. Then the next level is your email list. Do you have an email list? If you do, upload that thing to Facebook. Get that as a custom audience inside of Facebook and you can run and ask them directly. Where you’re paying for ads to ask them, “what is your number one challenge around blank?” Blank is what you help people with. In my wife and I’s world that is the meditation, the spiritual development side of things. You should know what that is for you at the middle ground, I should think. You’re literally asking them, leave me a comment below. 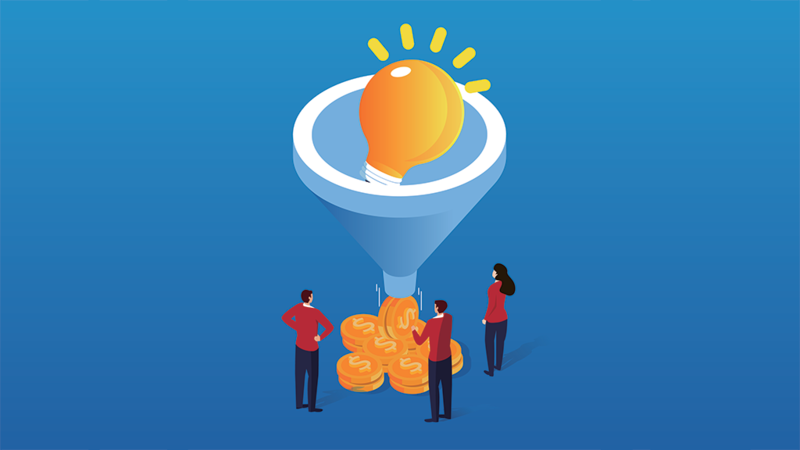 For some people it’s a hesitation to like, “wow you want me to pay to run an add to not ask something someone to buy something?” You could make a sales page with a minimum viable product idea which, I call that a minimum viable funnel. You could try to sell something that you haven’t created to get sales data on it, but it’s a lot cheaper just to get it and ask, and get an engagement on Facebook then it is to get them off Facebook. Then your conversion rate is going to be massive. If you can get a hundred people who have taken an action, a hundred leads or even a hundred pass customers or both, to tell you what their number one challenge is. If you’re in the weight loss space too, losing the holiday weight would be what I would go for right now. What’s your number one challenge with losing those holiday 10 pounds right now? If you can get a hundred people to tell you right now what their number one problem is – there it is, that’s your course. Then you just need to organize the idea and put it into a structure. That is what you go create and that’s your next product that you go send out to the world. Obviously, you have those audiences there that you can retarget too. I think that a lot of people stay so focused on cold traffic because they think scale. “I have to scale,” it’s such a buzz word. I think so many people are leaving money on the table with not being of greater service to those people who already trust them. That trust is the most difficult thing. It’s so much easier to sell to the already existing current customers. To go extremely tactical, aside from the engagement-based campaign, to ask them what they want, I love Facebook conversion-based campaigns because you are leveraging Facebook’s AI. Facebook’s AI knows a lot about each and every one of us. They know who the buyers are. When you work your ad campaign and your ad-set built in a way that lets Facebook say I run to find you your best people. That’s really where I found amazing, amazing honey holes of leads and customers – is through not putting too many parameters. I mean people go on Facebook and if they want to make $150,000 a year from women that are 52 – 54 years of age and it’s like, so does everybody else. Let Facebook’s machine find who your best buyers are. Then how do you minimize the number of steps on a conversion campaign? There’s something that we’re doing now that we are in the testing phase of, it’s like a one-page funnel. You can do this with MemberMouse where you actually put the sales content on the same page as the checkout process, generally above it. So, what you do is, the advertisement on Facebook is actually the sales message. My sales letter is a long copy, I’m talking 1500 words sometimes more than that. Or, you put your actual sales video, or you do your webinar as a Facebook Live. You actually do it live. Then you link them over to a checkout page that has the headline and it has the sales video built-in and it has your bullet points. It has the bare minimum things to have someone ready to buy. Then it has the checkout below. What you’re doing is you’re reducing the friction because they no longer have to read the sales page and then click to get to your checkout page. It’s all right there on one page. Set that up as a conversion-based campaign and Facebook is tracking who makes it through that first page. You’re only really paying for the people that click and the people that click, they saw your pitch. They know it’s a pitch because they watched your webinar on Facebook, or they read your entire sales message in that long ad. They know that this is a product. What you are doing is pre-qualifying people on Facebook first and then you are offering them something to buy. Here is where this plan goes into turbo mode. When you retarget people who went to a checkout chances are it wasn’t the right time for them because they already took an action knowing that there was a product there. Versus, a pure curiosity-based advertisement that’s just like “get my free thing that’s going to teach you how to do all this fancy stuff.” That super curiosity lead magnet thing is going to bring a lower-quality prospect than literally someone who clicked on a sales message to look at your checkout page who deeply considered buying your thing. Maybe they decided it wasn’t the right thing for them right now, but those the people you want to follow up with, those are the people you want to get on your list. Eric: Great. To clarify, the sales message is on the Facebook ad, then you’re sending them to a landing page that’s actually a check out page, with sales copy above. Then, for those people that don’t buy at that point you’re retargeting them on Facebook. Is that correct? Eric: For me, being a newbie to Facebook advertising, what is it actually mean to retarget them on Facebook and how do you do that? Miles: Since you first met them on Facebook with your first ad, you know they are Facebook user. It’s obviously better to go meet them where you met him the first time. You use a functionality in the ads system called the “custom conversions.” What you do is you go create an audience that’s a custom conversion – that’s based on people who reach your check out page, but don’t reach your ‘thank you’ page. This is all done with a Facebook pixel. The pixel needs to be on every page. You just set up a custom conversion for your checkout page and you put a custom conversion for the ‘thank you’ page, that people get after they buy. When you run your retargeting ad, your targeting people who made it to your checkout page, but did not make it to your ‘thank you’ page. So, this is the audience of people who click from Facebook, so they prove that they’re interested in what you are selling. You already told them you’re selling so, they know that you at some point have something to sell. Then they didn’t buy, so maybe the timing wasn’t right, or they were standing in line at the grocery store and that’s when your ad popped up. They want what you have, but the timing wasn’t right. You retarget them with either another ad for a sale – it could be like a three reasons why you need this ad, or with an ad filled with testimonials. Or, that’s when you focus on your opt-in lead magnet and you offer them your lead magnet. They will probably have a higher likelihood of saying yes to that. And, since they’ve already seen the sales message they are likelier to become a customer long-term. Eric: I’m literally just trying to process all of this in my mind. It looked beautiful – it looks really amazing but there’s a lot of wires going on. Miles: There is. The easy way to think about it is what we’ve done is we’ve removed the traditional sales page from the equation. What happens is you’re able to see Facebook’s AI with more conversions. You’re showing them conversions of customers and then Facebook AI will go out of your audience and find more people who look like those people who bought from you. We’ve run this now four separate times. The first time it absolutely flopped. One out of four it absolutely crushed it to the point where it paid for all of my losses. Now I’m working on building this out for an evergreen system, because that was a time focus event that I ran it around. Now I’m working on building this out for an evergreen system. It’s one of those other simple, not easy. It’s taking a lot of conversion mechanisms into a very small space, just your Facebook ad and your checkout page. But, if you already have a webinar script that’s converting, if you already have things that are working, all it is is kind of rearranging what you’re doing to get Facebook’s AI the best data. And, it gives you access to Facebook’s best audience segments. Eric: I love that. I love this as a suggestion to do because the thing is, especially if you are starting a new business, you need to grow your audience. You need to have some traction. Part of that is putting the word out there. Having an advertising strategy is one of the most important things, but it’s also for me personally, with something I didn’t do with MemberMouse for years. Just because it was such a black box. I was intimidated by it. I love that this is something that can be implemented even if people are new two things. One of the questions that comes up in talking with anything dealing with advertising is spend. How do you manage that and make sure that you don’t get eaten alive? Miles: You got your note pad out? I have a very specific way of going through this. I call it the $5 Facebook ad process. What I do is every ad set I run on day one at $5 per day. My spend is then the total of how many ad sets am I running. Each ad set could be focused on my email list, or it could be focused on a lookalike audience, or could be focused on what’s called an interest-based audience – someone who likes your best competitor. I’m targeting all these different audience segments at $5 a day each. Essentially, I’m split testing audiences. Then I monitor the data. Which audiences are giving me the best cost per lead and the best cost per customer? These are my KPI’s my key performance indicators. I don’t care about my CPMs which is cost per thousand Impressions. I don’t care about my cost-per-click. I actually sometimes don’t sometimes care about my cost-per-lead as long as my cost-per-new customer is within my KPI. What is that number? It’s how much I make on an average first sale. I want that break even funnel. I usually run 25 – 30 different campaigns at $5 each, so that’s upwards of $125, $150 a day. After day two or three, half of them or sometimes more than half are proving not to be within my KPIs. So, I turn them off and the ones that are above my KPIs – I’m getting 50% cost-per-lead, I’ll double the ad spend on those and the ones that are breakeven I just let them run. So, it’s a process of refining and sorting them. I have a video series that shows how I built the campaign and how I followed it for four weeks. Logging in and explaining this as I go, but it’s we put our message out to a lot of different audiences that have a high likelihood of wanting what we have and then we just analyze what’s within KPIs, what’s not. Turn off what’s not, add money to what is. Then you let it run tell it’s good and I repeat the process. Sometimes, ad set A doesn’t work and then I’ll rerun it three months later and then ad set A starts to work in Facebook. Facebook – don’t try to understand it. It is a beast that has a mind of its own. Always test your assumptions of what didn’t work, and always as test your assumption of what did work. I will get 180 out different results from the same actions in different times. Eric: I really appreciate you explaining that. In three or four minutes that’s pretty good that you were able to lay it out like that. Of course, I really appreciate how you explain things. It’s very clear. My natural next question, since we are running out of time on the show and you and I could keep talking about this for a long time. Please tell our listeners where they can hear more from you and continue to follow you while they are going through these processes and ask you questions with stuff like that. Miles: The number one place is on YouTube. I’m actually the only Miles Beckler in the world. If you just Google Miles Beckler than you’ll find me. I have a Blog with my name and I have a YouTube. All of my course type content is 100% free on YouTube. I have been trying to stay up on my comments, but now that I have about 78,000 subscribers I’m getting a little bit behind on the daily comments. If you comment on the videos I often see it and I try to reply as often off as I can there. I don’t have a Facebook course that I charge. I think there’s too many people that don’t know what they’re doing, selling courses and I don’t want to be a face in that crowd. I just figured I was just going to give away 100% of it for free. That’s just my approach. Find me on YouTube or wherever it is, just search Miles Beckler. I appreciate your time. It’s been fun to get to hang out and connect. Eric: I certainly appreciate it. It’s been great and hopefully we can do it again sometime in the future. We hope you enjoyed this episode and are now inspired to test some of the valuable ideas and strategies in your own business. We’d like to extend our sincere thanks to Miles for coming on the show and sharing his wisdom and strategies with you. And many thanks to you for listening to the Subscription Entrepreneur podcast. To get the complete show notes for today’s episode including the transcript, recommended resources, and more information on Miles, please visit subscriptionentrepreneur.com/114. For more interviews with successful entrepreneurs who share their strategies for success, please subscribe to the podcast on iTunes, Google Play or Stitcher. In our next episode, we’ll be speaking with Clayton Olson. Clayton is an entrepreneur who has successfully built an engaged audience using YouTube. In fact, he now has over 100,000 YouTube subscribers on his channel. The crazy thing is that he only started his YouTube channel a little over two years ago. Clayton comes on the show to discuss his approach to content creation, audience building, and converting followers to customers. So stay tuned! Thanks again for listening to the Subscription Entrepreneur Podcast. We’ll see you next time!